We’ve talked about this before but given the recent news I think it’s time for a straight up call to Ben’s. 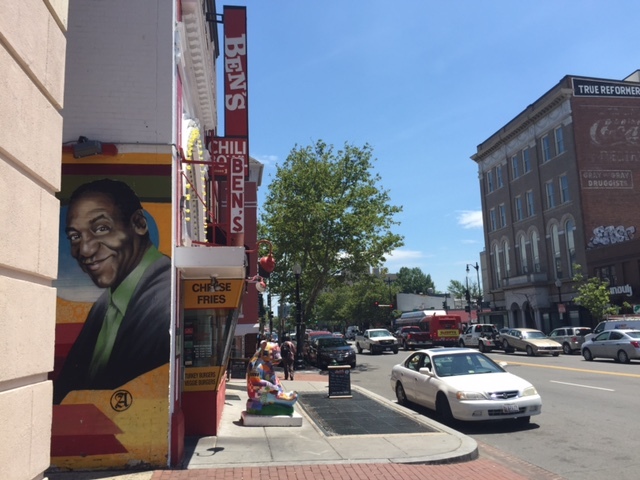 And especially because this mural is so prominent on U Street (not to mention only a few years old) – it’s embarrassing. But worse than that, I can only imagine how victims of sexual assault feel when they walk by it. It should be taken down period. There may not be precedent in doing so but it’s still the right thing to do. Think they should? Think they will? I’m sure there are many candidates more deserving of this space – how about a return of Duke Ellington to U Street?